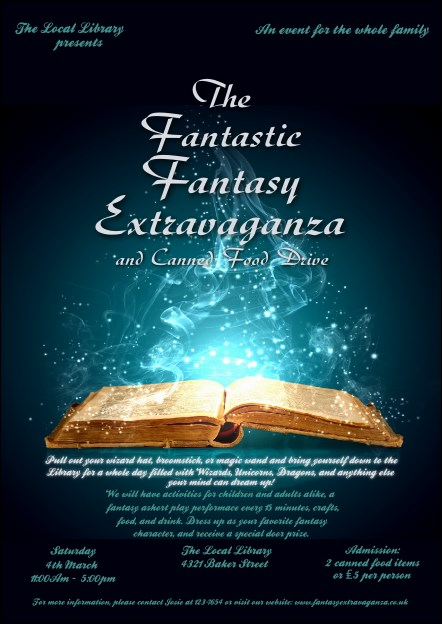 Incite and ignite their imaginations when you distribute the Fantasy Postcard to support your literary event. Electric blue stardust rises from an open book on a beautiful navy blue background on this template. Send or hand out to potential guests or leave with supporting businesses, schools, or libraries. Send your own story with UK Ticket Printing.